March 25, 2015 ~ Lorra B. As 2016 is just around the corner, the left is trying to do anything they can in order to demonize the right and boy did they recently kick the hornet’s nest. With just one word used to describe President Obama, Ben Carson has effectively sent the liberals into a tizzy. 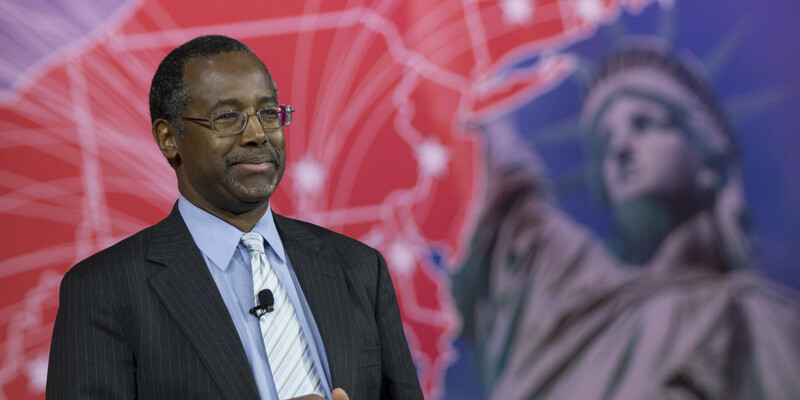 The remarks were made known via a GQ profile on Carson. The former surgeon called President Obama a “psychopath” during his January State of the Union address. Although its unknown if Carson knew the conversation was being recorded, his assessment was made in the company of good friend Armstrong Williams – a conservative columnist. As described by GQ’s Jason Zengerle, the two had an exchange during the speech. The newly public remark is just one of the few examples Zengerle brought up, trying to tie Carson’s rise in politics to that of the extremist right wing. Of course, inflated comments, such as calling the president a “psychopath,” seem to be a little nutty when taken at face value – and when it comes to the left, we’d expect no different. This entry was posted in News, Politics and tagged Ben Carson, Ben Carson describes Obama as psychopath, Conservative Blog Network, Jason Zengerle, Psychopath, State Of The Union Address. Bookmark the permalink. The left doesn’t need to demonize the right – Obama is doing it for them. This is a term many of us have used to describe Barack Obama and I think it is apt to say the least. It is nice to hear a national figure come out and say it, I wish more had his courage!